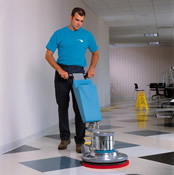 Clean, well-kept facilities enhance corporate image and provide a healthy environment for your customers and employees. Every day more than 100,000 businesses around the world depend on ServiceMaster Clean®. With over 50 years of experience, we have developed the most advanced cleaning technologies and methods to do the job well. � 2019 ServiceMaster® Building Services, All Rights Reserved. An independent business licensed to serve you by ServiceMaster Clean®.